Minister's wife, sometime sleuth, and culinary artist Faith Sibley Fairchild is intrigued by rumors of mysterious doings at Hubbard House — an elegant, secluded retirement home for the well-heeled Yankees of Aleford, Massachusetts. 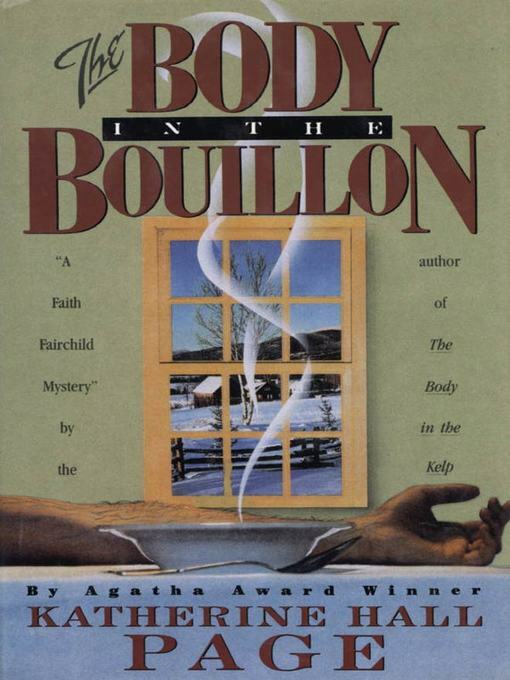 Determined to do some surreptitious snooping, she joins the pricey retreat's flu-depleted kitchen staff, only to witness an aging resident collapse face-first into a bowl of Faith's hot and savory bouillon. But it isn't until a blackmailing drug dealer turns up dead in Faith's bedroom that the amateur investigator realizes that murder not only happens at Hubbard, it's the specialty of the house! And Faith's own demise might very well be the next item on the menu.